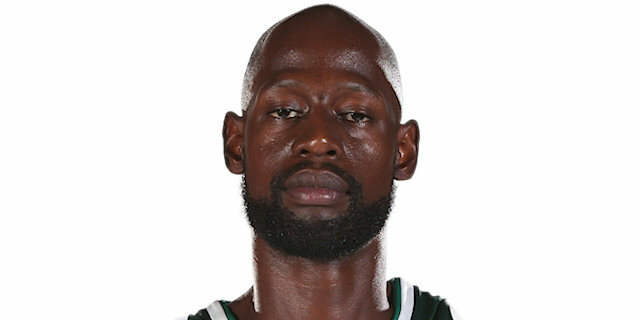 Panathinaikos Superfoods Athens protected its home floor and edged closer to clinching a playoff spot with a comfortable 74-61 win over EA7 Emporio Armani Milan. 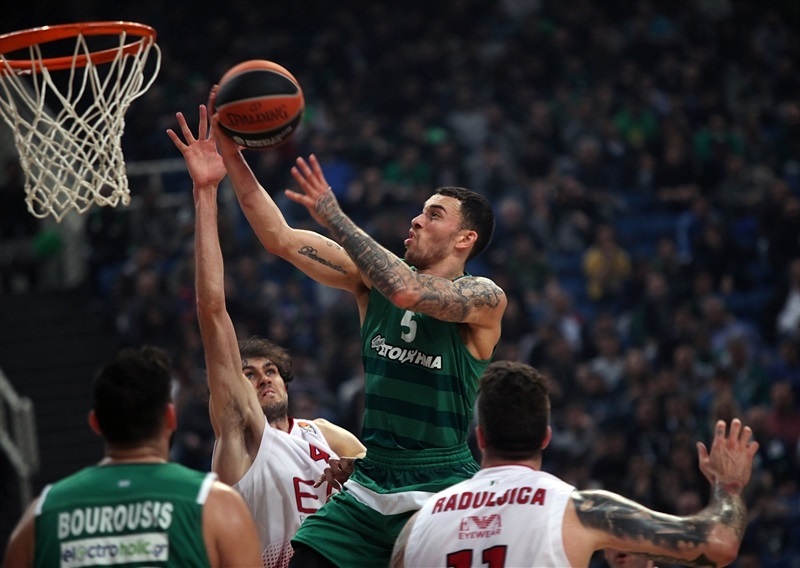 Panathinaikos registered its ninth straight home win to improve to 16-11 record and could qualify for the playoffs already on Wednesday if CSKA Moscow defeats Darussafaka Dogus Istanbul. 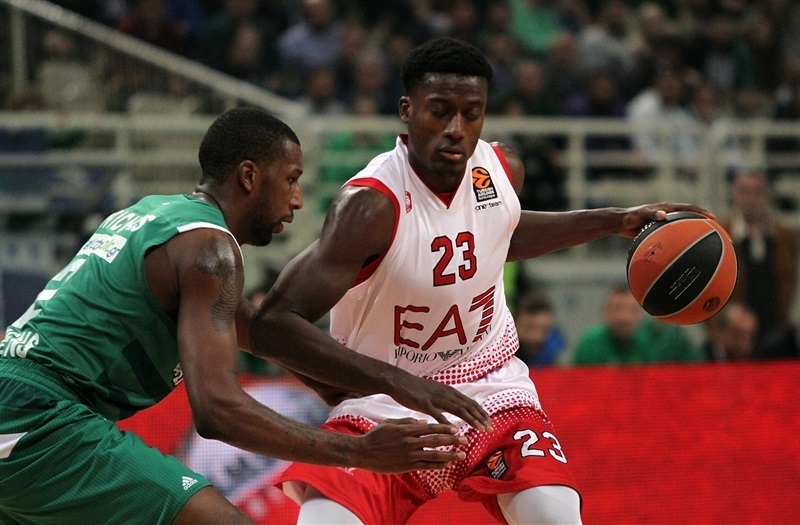 Milan, which was missing Rakim Sanders, Kruno Simon, Zoran Dragic and Simone Fontecchio, dropped to 7-20 and last place. 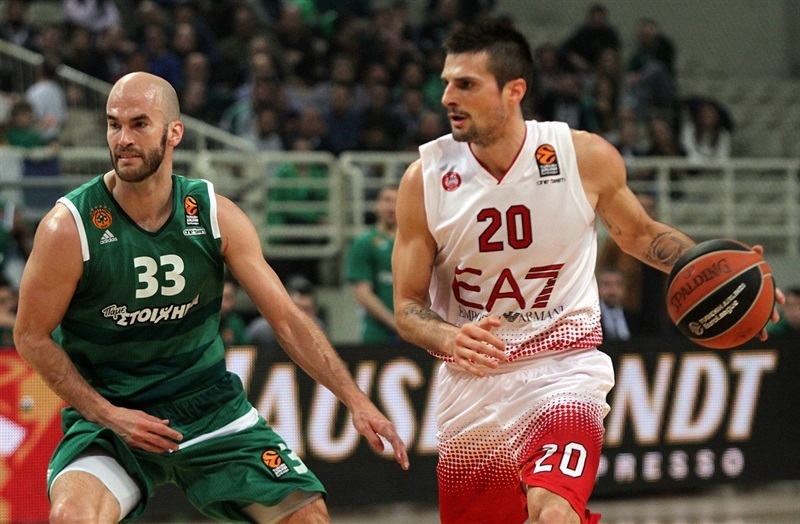 Nick Calathes and Mike James scored 13 points apiece, while Nikos Pappas and K.C. Rivers each scored 10 points in victory. Milan’s Awudu Abass led all scorers with 15 points on 3-for-3 three-point shooting. Milan Macvan had 12 points, 7 rebounds and 4 assists, while Andrea Cinciarini collected 11 points, 8 rebounds, 4 assists and 2 steals in defeat. Milan had a much better opening to the game, with Cinciarini and Abass each hitting a triple, and Macvan and Raduljica scoring inside for a 2-10 lead. But after a timeout, the hosts showed up. 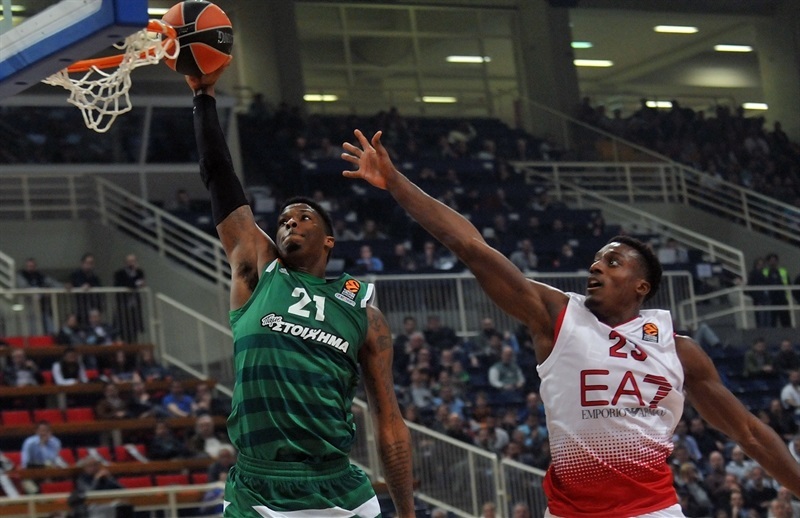 Calathes made a pair of triples and Gist hustled for a pair of put-backs, fueling a 16-2 run during which Demetris Nichols and Chris Singleton also nailed three-pointers. 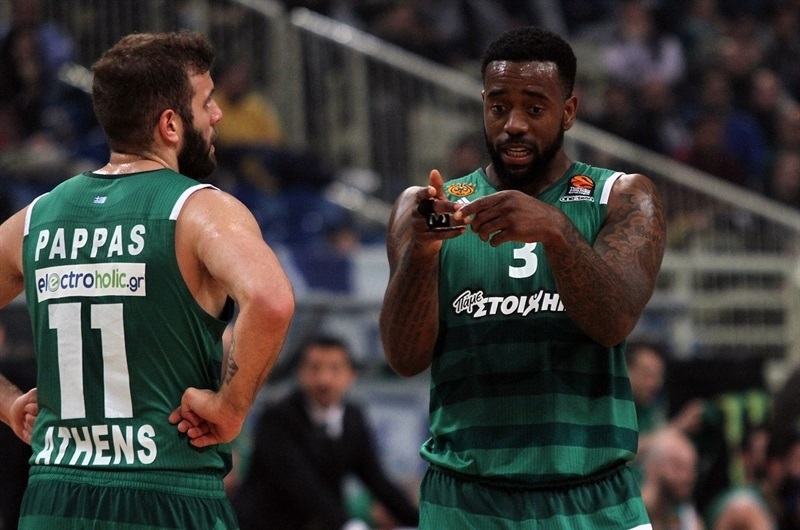 A three by Rivers helped Panathinaikos to a 21-15 lead after 10 minutes. The visitors kept hustling, and Cinciarini and Abass scored on fast breaks to get Milan within 25-23. 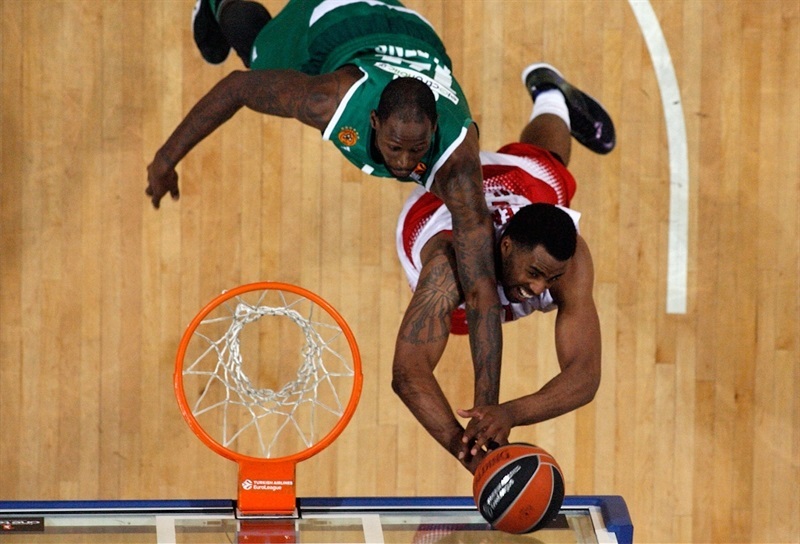 However Pappas had a big block, made a three-pointer and snatched couple of steals to give Panathinaikos another boost. 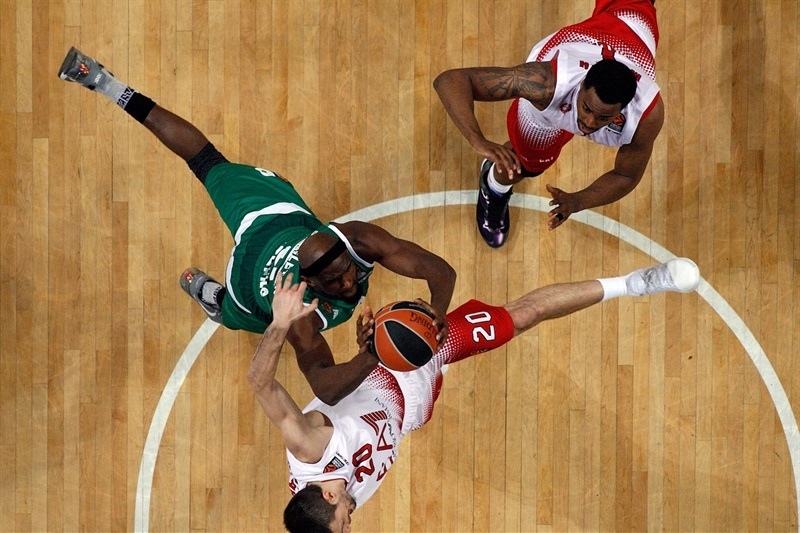 The hosts’ defense held its own, and Panathinaikos ended the second quarter on a 13-2 run, for a 38-25 halftime lead. 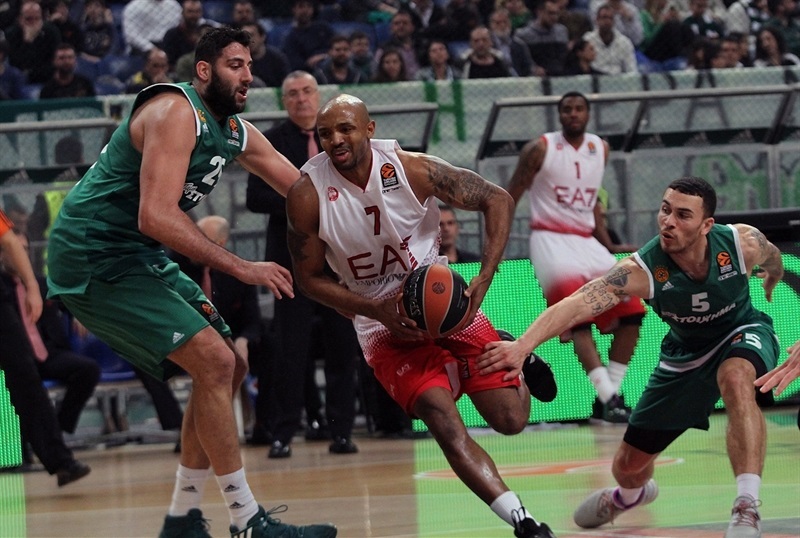 After the break, Milan stuck to playing zone defense, which troubled Panathinaikos. 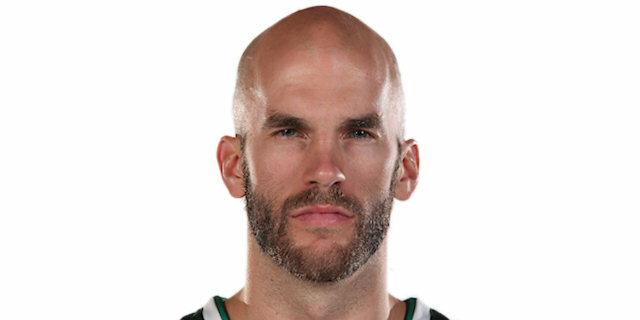 Still, Calathes managed a three-point play on a fast break to make it 45-27. Rivers and James did hit from downtown for the hosts, and Hickman did so for Milan. The hosts kept the margin in double digits, and James beat the buzzer with a tough jumper, making it 57-40 entering the final quarter. 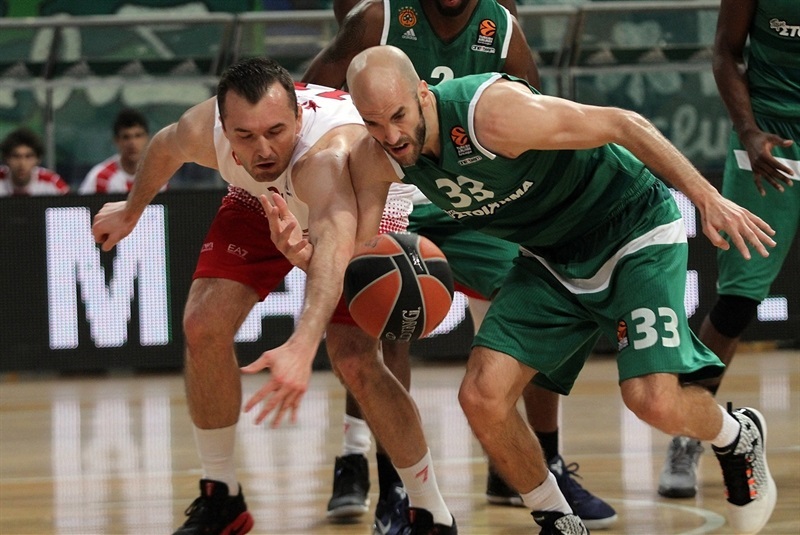 Panathinaikos cruised in the final 10 minutes, slowing down the tempo entirely, but keeping defensive intensity. A pair of baskets from James opened a 69-50 lead midway through the fourth before the visitors answered with a 2-8 run, but never threatened. "Tonight was a little strange game. We take this win, but on offense for sure we did not play very well. When you see the stats, you see we scored 74 points, and you think it is not enough for this game. Especially because we did not take advantage on a lot of fast breaks. I don’t know how many dunks we missed today, and also we did not hit a lot of open shots. Sometimes, when you don’t score in a game like this you feel like you played bad, but it is not exactly like that. 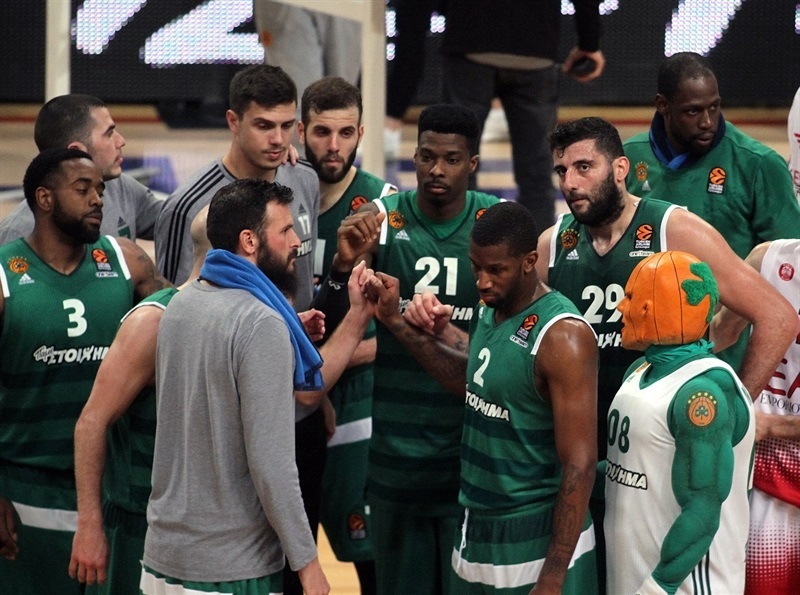 In any way, we now start preparing for Baskonia, where we play in 48 hours." "We are in a very tough situation with many injuries, almost without a bench with a very short roster. But we continued trying to fight, to finish as best as possible in every game. But honestly it is not easy, especially with two games during this week, playing with seven players is very difficult. 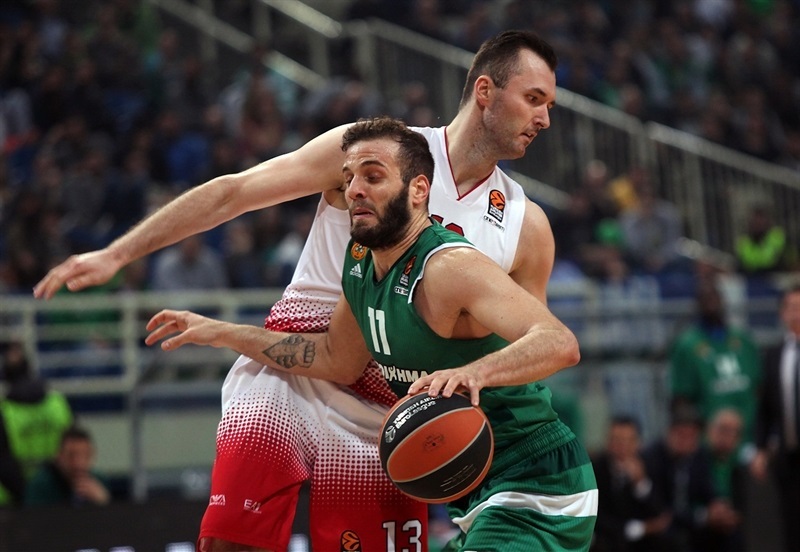 In an emergency, high-level situation like ours today, and especially when playing against Panathinaikos in Athens, we had two goals: To control the game, to control the rhythm, and to not make turnovers. But we had 23 turnovers, so we did not do the job so well. But I want to say on the positive side, we did not lose more players to injury." "Today we had to come out focused because we needed to get this win. It was a big win, another step in the right direction for our team. It was a good thing to build off our win against Madrid. Now we have to take this and move to the next game. This game is finished. Even though Milan is at the bottom of the standings, they are still a tough team to play against. 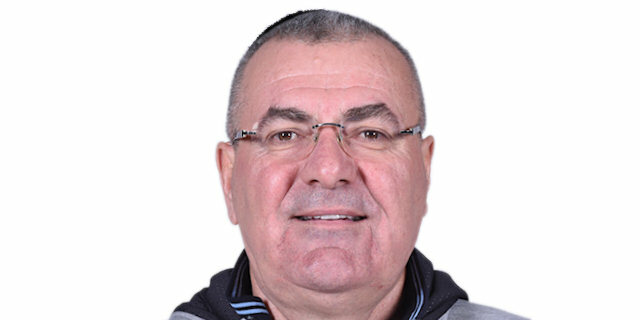 You see that Fenerbahce lost tonight to Maccabi, another team that does not have a chance. A lot of things did not go well for us offensively, but either way, we still did a lot of things good and we got the win. That was the most important thing." "Obviously, a sloppy game today for the whole team. We just made dumb mistakes, but it was good to get a win. We held them to 61 points, so defense was a pretty solid. Now we get ready for Thursday."